While Phan Thiet remains one of Vietnam’s busiest coastal towns, it maintains its unique attractions from the bustle of urban development, making it the perfect retreat from its nearby business epicenters, Hanoi and Saigon. As the capital of the Binh Thuan province, it is home to nearly 250,000 inhabitants spread across four wards and a vibrant city center. 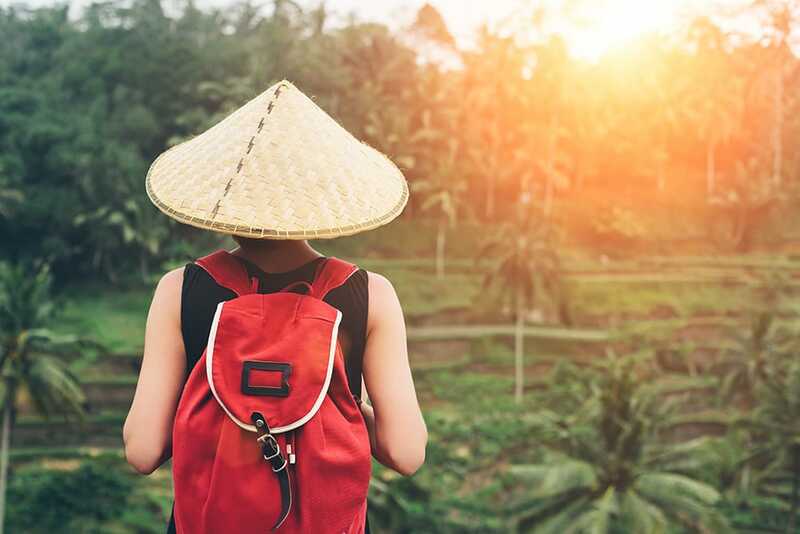 Though it still receives the bulk of its income from fishery and fish product manufacturing, its beautiful beaches and resorts are slowly transforming it into Vietnam’s latest tourist attraction. 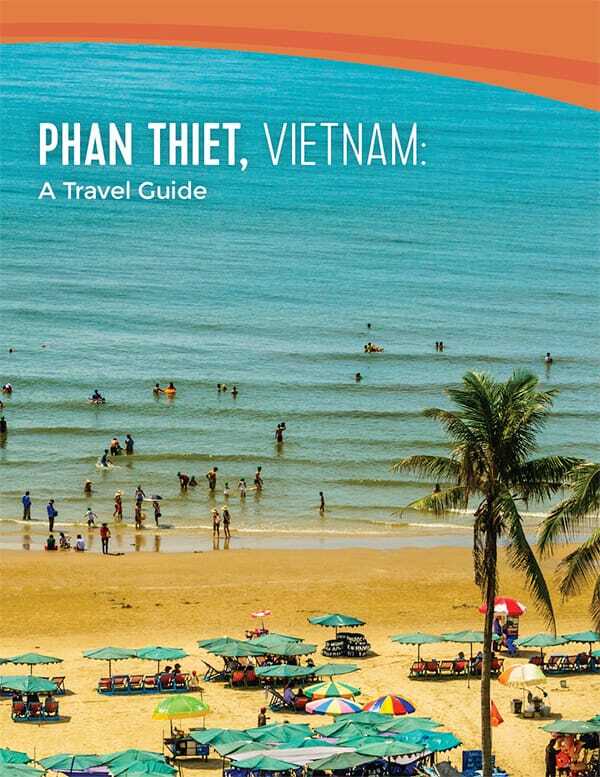 The area now known as Phan Thiet first existed under the rule of the ancient kingdom of Champa before eventually transferring to Vietnamese rule. 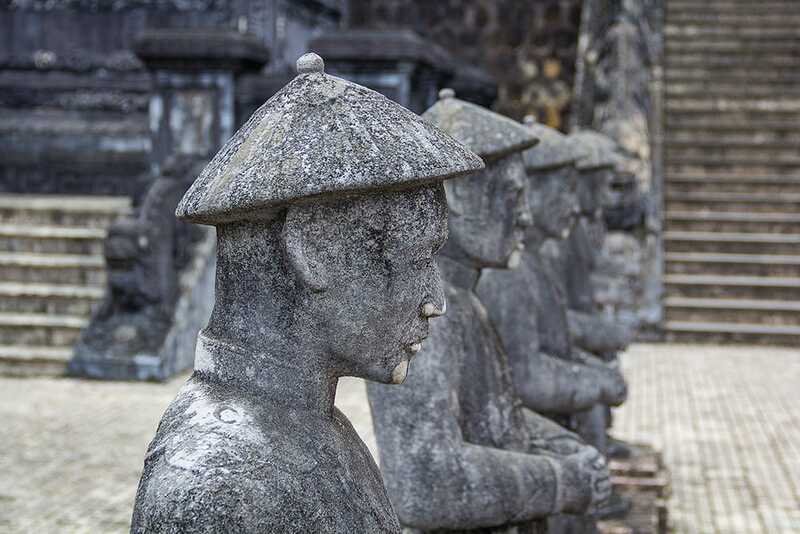 In 1697, the area – then known as Binh Thuan – became its own district before officially being recognized as a “dao.” It would take two more centuries before it would become a province in 1825 under the reign of Emperor Minh Mang. As parts of the areas continued to develop into smaller districts, the Minh administration thought it important to establish land boundaries around the 300 communes and villages that populated nearly fifteen districts. Hoping to develop taxation ordinances, the administration completed this process near the end of the 19th century, but Phan Thiet was still officially unrecognized as an administration unit within the Binh Thuan. It would take the reign of Emperor Thanh Thai to recognize Phan Thiet’s borders by moving the Binh Thuan provincial capital to the the village of Phu Tai, a suburb of Phan Thiet. By October 1898, a formal decree issued Phan Thiet a city of Binh Thuan and its capital. Like many prominent provinces in Vietnam, Binh Thuan’s most tumultuous months are in the summer, when rainfall is at its heaviest. Phan Thiet receives as much as 1289 millimeters of rain per year, with nearly one-sixth of its rainfall occurring during the month of July (at an average of 211 millimeters per year)! Phan Thiet’s tropical climate shines best in its drier periods between September and May. Expect the least amount of rain in its driest month, February, or visit during May before the onslaught of hurricane and monsoon season. Phan Thiet’s most popular beach, Mui Ne, enjoys its own dry climate that remains nearly rain free almost year-round. If you do decide to visit during Phan Thiet’s rainy months, Mui Ne could be the perfect getaway from the turbulent weather. Phan Thiet’s most popular attractions incorporate its fishery economics with its gorgeous, tropical climate. Visitors experience the modernities of life in Phan Thiet now amongst the relics and beauty of its history. Because Phan Thiet remains untouched by urban development, its natural attractions, like the Red and White Sand Dunes, remain relatively intact for visitors of all backgrounds to enjoy. Swing by this fishing harbor in the early morning to check out the fresh scallops, stingrays, and crabs of Phan Thiet’s local fishermen. The Mui Ne Fishing Village stretches across the coastline of the beach where visitors can pursue its wares under the shade of palm trees. 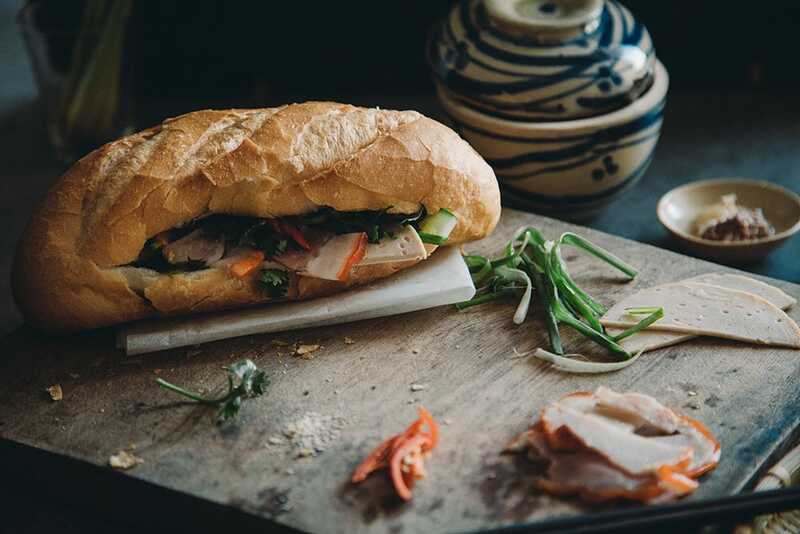 When you’re ready for a quick bite, simply stop by any one of Mui Ne’s Fishing Village’s seafood restaurants for lunch or buy a treat from the connected gift shops. 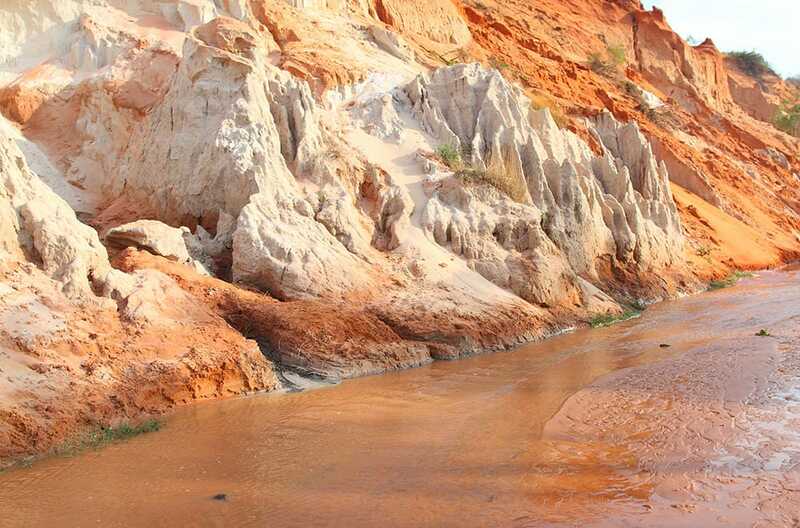 Named for its sparkling layers of colored sand, the “Fairy Stream” is noted for carving a canyon through Phan Thiet’s dunes over hundreds of years. Photographers will find its breathtaking landscape of red, white, and pink to particularly noteworthy. The stream’s clear waters allow those who follow its trail to glimpse to at its deepest depths from the shade of its coconut palm trees. Hungry after your hike? Visit any of the many adjacent restaurants and bars located upstream. 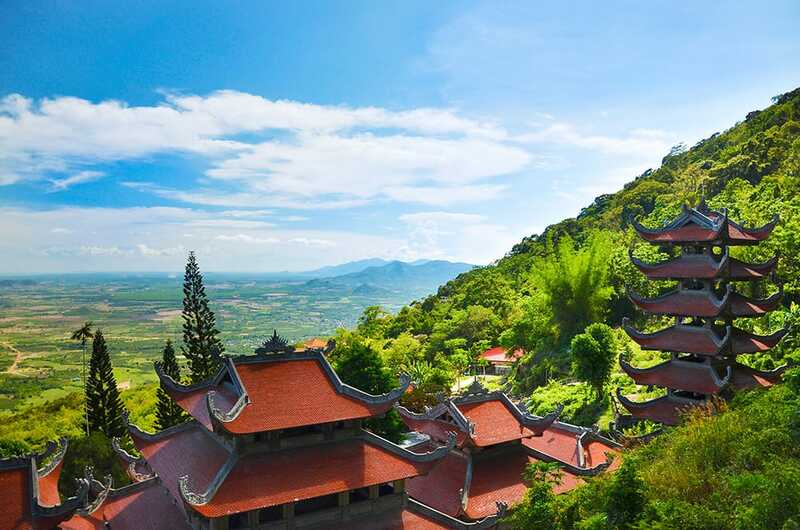 Over 250,000 square meters of lush rainforest and limestone caves makes up the reverent Tai Cu Mountain, where visitors can marvel at its featured Buddhist statues. Opt in for the 10-minute cable-car ride if you’d love a glimpse of nearby towns like Thuan Nam and Ham Thuan An Sea. If you opt for the two-hour hike instead, be sure to wear comfortable shoes and plenty of water! 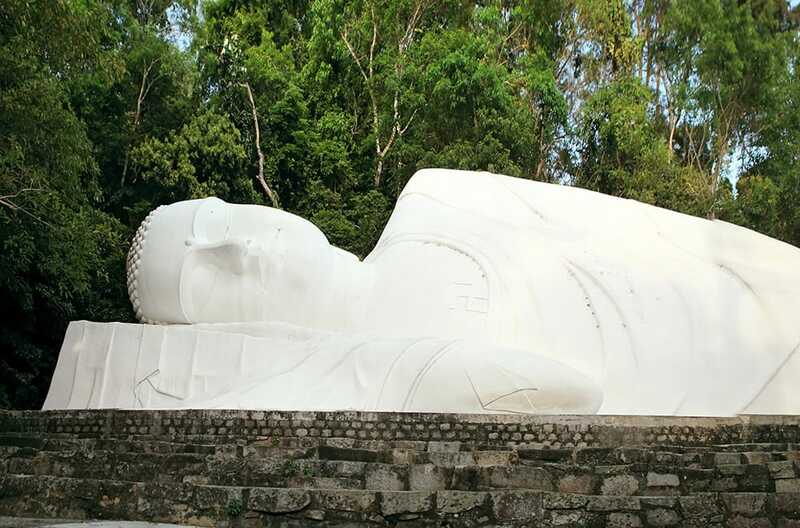 Tai Cu’s main attraction is one of the biggest reclining Buddhas in Vietnam, standing at 49 meters long. Because Mui Ne Beach remains the main attraction of Phan Thiet, most tours offered in Phan Thiet will bring you to this ever-popular location. “Dirt bike” tours are by far the most popular way to experience the coast of the Mui Ne Beach. Attendees are provided with quality safety gear and modern dirt bikes for every level of ability and size. Using beginner and expert trails, tourists take a complete, three-hour off-road experience for an comprehensive adventure through Mui Ne. When visiting, try the Panda Enduro or Easyrider Munie to experience Mui Ne’s thrilling scenery safely. Dirt bike tours may vary by the size of your party or preferred tour, so book directly with your selected company for rates. Other tours, like the Vietnam Balloons tours, offer a more romantic, low-risk option for couples and family to enjoy. Travel serenely above Phan Thiet’s skies and experience its sand dunes, rainforests, and beaches from an elevated, intimate view. All balloons are manned by a pilot. Hot air balloon tours in Munie can start from $130+ for four hours of the charming Phan Thiet countryside. 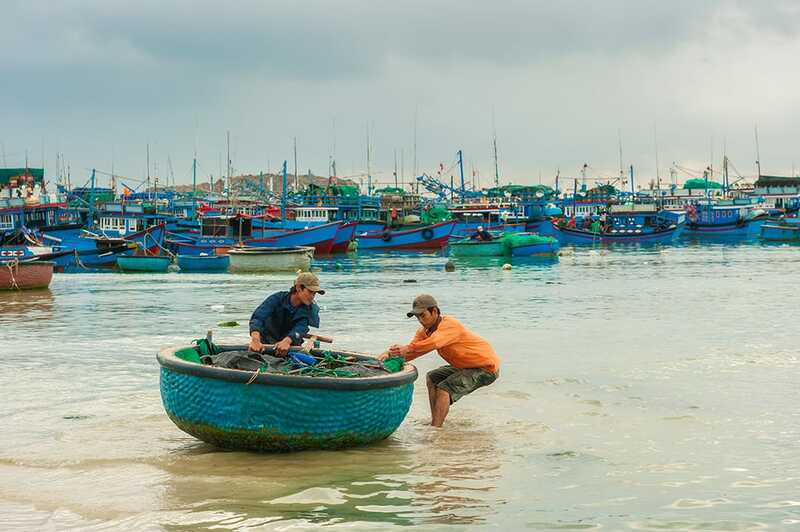 Phan Thiet’s expansive fishery industry makes seafood the top the cuisine within the city, and the main offering of its extensive network of restaurants and bars. Visit Pham Van Dong Street just outside the Tran Hung Dao bridge to view a wide selection of local Phan Thiet seafood, including snails, squid, shrimp, prawns, lobsters, and much more. Sindbad: Sindbad is most noted for its deviation from standard Vietnamese fare, opting for a more Mediterranean or European approach to seafood. Coupled with its stunning coastal views is a unique take on traditional Greek and Italian dishes like the kebab and the bruschetta. Foreign visitors to find the familiar wine and American/German beer selections to be comforting. The Dong Vui Food Court: Those looking for a more authentic dining experience will find it all the the Dong Vui Food Court. Travel amongst the many stalls to sample a mixture of traditional Vietnamese, Indian, Japanese, and Chinese flavors to your heart’s content. Food is cooked fresh directly at the stalls for a up close and personal experience. Breeze Restaurant & Bar: Breeze offers a more lounge/club experience for visitors to eat, drink, and relax along the coast line. Along with a DJ and two open pools, Breeze keeps the fun rolling with a wide selection of breakfast, lunch, and dinner options late until the night. Fans especially love the affordable drink selections and the flavorful menu staples like the mango curry, Italian-style pizza, and – of course – the seafood!